Before treatment, I lived life by forgetting and moving on. Then life caught up with me and I began to resist and hold on tightly to what I had built. Then, life handed me a third option – authentic healing. The kind where I get to heal myself. This time, I had skilled, intuitive therapists guiding me; guiding me into the body I had deserted; reintroducing me to safe touch; coaxing my mind to get out of the way so I could heal; giving me permission to do what I needed to do, physically, emotionally, and intuitively, in order to resolve what I thought was unresolvable. The dead ends I believed and felt to be true became openings to a flexibility and power I did not know I possessed. What occurred in the following three years after those two intensive treatments, now that I look back, could not have been planned any better. If someone had told me this is how I would heal, I would have said, no thanks. It was both frightening and exhilarating; frustrating, yet easy. 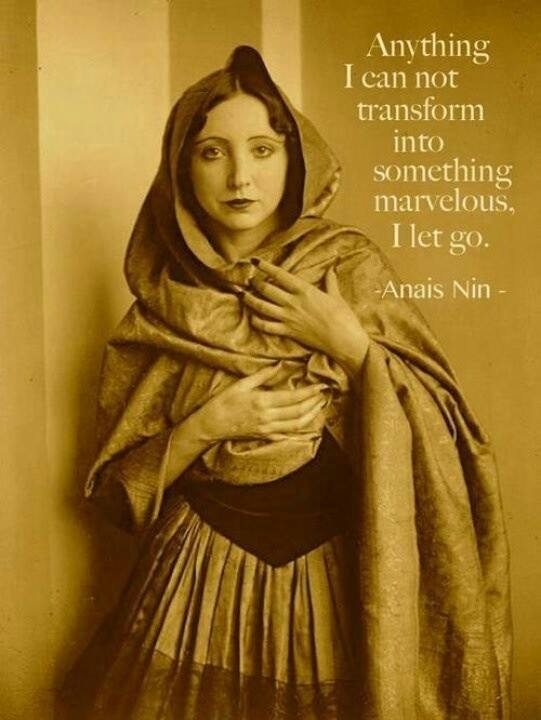 When given the choice between bracing/numbing and softening/letting go, therapists persistently and gently remained at each physical, emotional and false belief-ridden barrier until I realized – on my own – that letting go was indeed my best option. Many times, I would face myself and fight myself at the same time. I was so tightly connected to my beliefs and fear, and loath to change, even when in deep emotional and physical pain. The pain fueled my perseverance and steered me squarely into a barrier I was too tired of fighting anymore. Exhausted, giving up the fight, I would feel into what I had believed was too hard or scary to feel. Afterward, feeling so much better, I would wonder why I had resisted with such resolve. Eventually, not trusting, getting results, then trusting, I resisted less and allowed more. In an open arena where I was always given the choice to resist or allow; engage or not; feel or not feel; be in my body and leave when I wanted – everything was possible and nothing I introduced from my horrible past was out of bounds. When stalled in my treatment sessions, the therapist would sense this and gently nudge with dialogue, sound, words, or a slap (not really a slap – this one is best left for it’s own blog post). There was never force unless there was an equal meeting of force by me. There was no bargaining, cajoling or directing by therapists of what I should do. They were showing me my own built in healing mechanisms. They were teaching me not to be afraid of them; not to be afraid of my body doing it’s own healing. Not to shut it down and let it continue to completion. On my own individual route to healing, I learned, through trial and error with the outcomes I was getting. I experienced going into a session with no expectation or judgment as to how I would achieve my goals. Feeling improvement, I gained the confidence and trust to write down and say out loud what I wanted for myself. “I want to feel safe. I want to feel calm. I want to trust men again.” Then, once again fearful and anticipating failure, I would go into a session and have the feelings of threat, anxiety and fear immediately come up. Still, my therapists never stopped encouraging me to tap into my own powerful intuition. In an entirely neutral atmosphere, where there was neither a shutting down nor a forcing through of the healing process – trust in myself flickered to life. Tentative at first. Always bracing initially and softening secondarily. It took two years before trust in myself became the dominant state in my treatments. Trusting the process and softening into what was coming up instead of bracing against it. Although I wanted it to be a straight, logical path, that was not how the essence of me needed to get there. I had to learn, through iterations, how to trust myself, my body, the therapist, the healing process, the next moment. The path unfolded how it needed to in order for the healing to feel genuine; in order for it to stand the test of time and the interaction of living. I now have great respect for my body – that it decided for me that holding on wasn’t my best option. Before the John Barne’s Myofascial Release Approach to life, I lived with the following approach: shove the bad events and feelings down out of the way, force yourself to get up and move on – that’s how you get over the past; don’t pull people down by mentioning anything negative from the past – keep it to yourself, it does you no good to bring it up (This is true if the other person is not equipped to facilitate healing, but the lack of trust to tell your story becomes ingrained. So it becomes best not to say anything to anyone, even therapists. ); follow the advice of the experts, because you can’t trust yourself – you know less about your own healing than they do. Gradually, I developed the habits of a healthy approach to life, embodied consistently and perpetually in the John Barnes Myofascial Release Approach: never force, never lead, never tell anyone what to do, feeling is healing, trust the healing process happening spontaneously in you. This entry was posted in Healing, Myofascial Release and tagged authentic, healing, myofascial release. Radical Healing Blog <Loved it!